Explore the range of stained glass offerings that enhances the beauty of light and the dynamics of the craft. We craft one-of-a-kind usable art glass pieces using a process called kiln fusing. 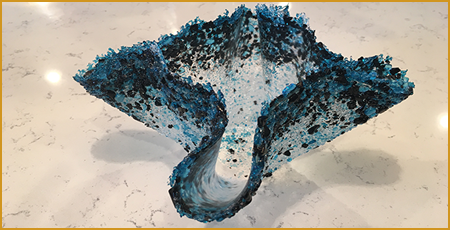 From vases to bowls, we make glass art that creates a statement in your home or office. Our studio explores the versatility of glass. Browse the gallery to see a selection of our work. Relish in the beauty of glass art. Turn your home or office into a private art gallery with stained glass art from our studio in Nashville, Tennessee. Our studio offers one-of-a-kind, quality pieces. We work on one piece at a time to make sure that it is both beautiful and unique. We accept custom orders. The inspiration for Glass Onion Studio started 15 years ago when owner Bonnie Williams began taking lessons in stained glass. Because she loved the artistic freedom of this type of art, she made a variety of different pieces for friends and family. Now she is bringing her art to others who love stained glass.